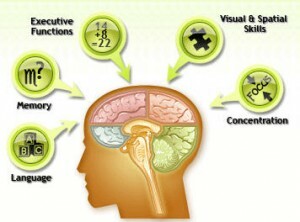 Home » Student & Parent's space » How Can Brain Games Boost the Functioning of the Brain? As parents we do everything that we can to ensure that our children grow up as healthy adults. But most often than not we have a tendency to overlook the development of our children’s brains. We focus on their studies and their overall health with the exception of the development of the brain. This aspect is just as important as their general health. If we devote sometime to the development of the brain wouldn’t that make things easier for our kids and for us in turn? Not only would their grades show a remarkable improvement it would also enhance their overall performance, be it school or simply participating in extracurricular activities. Based on this information we can conclude that the equation “Good Health + a Well Developed Brain = a Happy Child and Equally Happy Parents” - definitely holds true even if one thinks otherwise. Hence the question, how can brain games boost the functioning of the brain? The answer is fairly simple, play games with your children and expose kids to brain games. Playing brain games will teach children to solve problems, develop fine motor skills, fine tune hand-eye coordination, a sense of timing, the principles of cause and effect, math and language skills. The bonus is that they will be having so much fun that the learning aspect will go unnoticed and will be effortless. The adults too can join in the fun while at the same time unobtrusively monitoring to see if there are areas that need special attention (Your Brain Training). There are several games that are designed for different age groups of kids and ones that also stimulate various areas of the brain. Which we will be discussing shortly. The stimulation that brain games give is what improves the functioning thus enhancing ones performance. They give your brain the work out it needs to function effectively. Some examples of brain games are Chess, Tic – Tac – Toe, Dominoes, Sudoku, Board Games, Scrabble, Card Games, Checkers, Puzzles, Mazes, Crosswords, Minesweeper, Brain Power, Brain Teasers… One should never underestimate the value of reading a good book. Hence, let them have fun while learning and you, as a parent, would have done your job well nonetheless. We all know that children learn best through play. It is common knowledge that a child struggling with a certain subject in school will have no trouble when that lesson is turned into a game. The human brain has an astonishing ability to adapt and change well into old age as well. This ability is known as “neuroplasticity”. With the right stimulation, your brain can form new neural pathways, alter existing connections, adapt and react in ever-changing ways (Help Guide). No wonder, they say that humans use only a couple of thousands of neurons within their brain in their entire lifetime. Therefore, playing brain games helps children and adults alike to make use of up to billions or even trillions of such neurons. 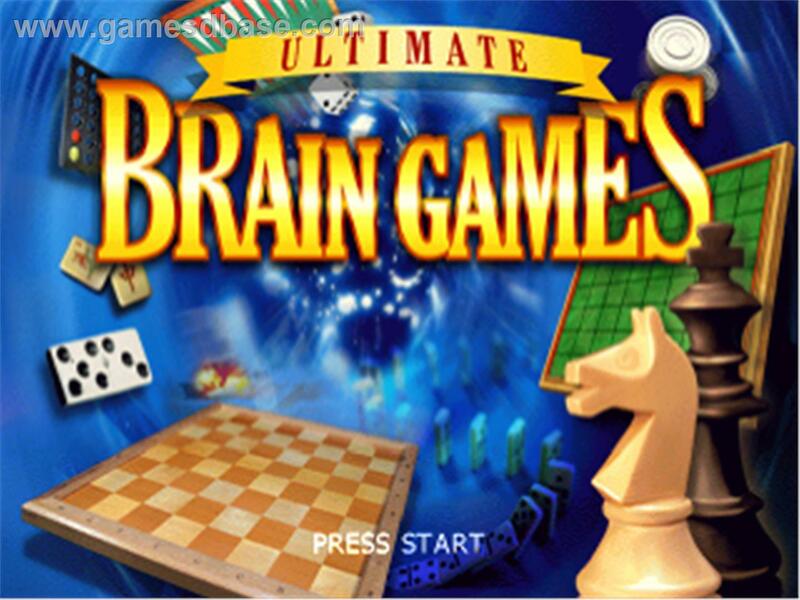 There are various kinds of brain games that are designed to develop and activate various areas of the brain. The brain as we all know is divided into to two Hemispheres the Left and Right Hemispheres. They are further divided in to four Lobes namely Frontal Lobe which is responsible for creative thought, problem solving, intellect, judgment, behavior, attention, abstract thinking, physical reactions, muscle movements, coordinated movements, smell and personality. The Parietal Lobe is responsible for comprehension involving Visual functions, language, reading, internal stimuli, tactile sensation and sensory comprehension. The Temporal Lobe controls visual and auditory memories. It includes areas that help manage some speech and hearing capabilities, behavioral elements, and language. The Occipital Lobe controls the vision aspects of the brain (MD health). Apart from these there are several other parts of the brain that are partially involved in these aspects as well, but we will limit ourself to these for now. 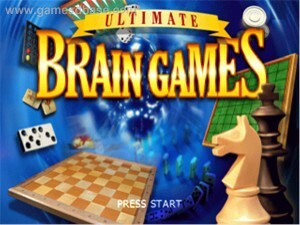 When playing brain games these particular aspects of the brain are stimulated. Based on these areas of the brain you have various types of brain games which stimulate these specific areas to name a few; Vocabulary Building games help improve vocabulary. Intellectual games enhance problem solving skills, while developing their creativity. On the other hand Language improving games assist in developing a good command over the language for instance English. On a similar note Hand – eye co – ordination games develop their motor and co – ordination skills. Similarly, memory games improve their memory, while Maths games help in clearing concepts of mathematical operations. To improve your child’s general knowledge you have several General Knowledge games that can help your child these are amongst the many Brain Games available. 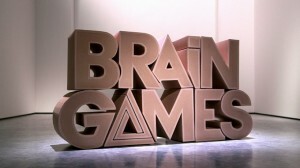 Brain games are nothing but another way to improve the functioning of the brain. Memory games are loosely termed as concentration games. Games that help develop one’s “concentration and focusing skills” are ideal games to play. Games like match the pairs, card games are examples of memory games. Intellectual games like Puzzles for instance Crossword puzzles or trivia quiz games are mind puzzles. Similarly board games like Chess, Checkers, Minesweeper etc are now available on-line as well are some other examples of the same. Playing Pictionary can also enhance your child’s creativity skills and is available in board form too. Even games that are based on the creative arts like playing with Play Doe for younger kids, bead making, art and craft activity or simply origami (paper arts) can develop the creative aspect of the brain. Some Vocabulary improvement games are Brain power, Scrabble, Hangman, Bingo etc. Scrabble is available on-line and there are several on-line websites or dictionary websites that have Bingo or Hangman games, some even have quizzes that you can play and lots more. To improve maths skills and to overcome maths anxiety you can avail the benefit of several on-line maths websites that are devoted solely to master mathematical operations. They are designed for kids of different age groups. Even maths puzzles like Sudoku can improve your child’s maths ability. There are several General Knowledge games or game shows that your can have access to as there are channels that broad cast such competitions. Nevertheless, there are several on-line websites that cater to the development of the child’s G.K. If the access to on-line games is limited then parents can actually create their own brain games with the help of kids using playing cards, charts, flash cards or even any other items from the house. For instance one can select few toys and ask children to watch them for a moment. Then the child should be allowed some time to write the name of all those toys on a paper. Regular practice may help your child to score better and thus enhance his or her memory. Most newspapers have crosswords, Sudoku, Identify the difference between the two pictures that are equally effective. Even board games like, Scrabble, Pictionary, Chess, Checkers, Brain Power, Match the Pairs will work equally well. Hence you need to ensure that you have these games at home. To enhance their creativity you can give them some beads to play with or even art and craft material can help enhance their creativity. To improve their maths skills allow them to assist you in the kitchen and ask them to help you measure out quantities of the ingredients that are required for preparing the dishes. If you like Tailoring take assistance from your child to help you figure out how many equal sized bags can be made from a fixed amount of cloth. If you wish to improve their G.K. You can encourage them to watch educational channels like Discovery kids, Animal Planet, National Geographic channel and the History Channel can also improve your child’s G.K. Even books or magazines such as Encyclopedias, National Geographic magazines can be very helpful in enhancing your child’s G.K. Thus games are fun and educational too. But always remember not to bombard your child with too many brain games, just to improve the functioning of the brain. Therefore, allow them to play just one or two games at a time. Ensure that they take proper rest or a break between two games as they may get exhausted easily. When your child takes a break ensure that they indulge in an outdoor activity or even rest for some time. This will give them enough time to rest and refresh them thus preparing them to face new challenges. For more fun tips on improving Maths, Vocabulary, English and Memory you can visit www.careerfutura.com.